CAPTCHA is a technology that distinguishes humans from machine input. This makes it a lot more difficult to create spam accounts. This function is disabled by default. To enable it, site managers can go to the dashboard and enable this function on the 'Spam Protection (CAPTCHA)' page. 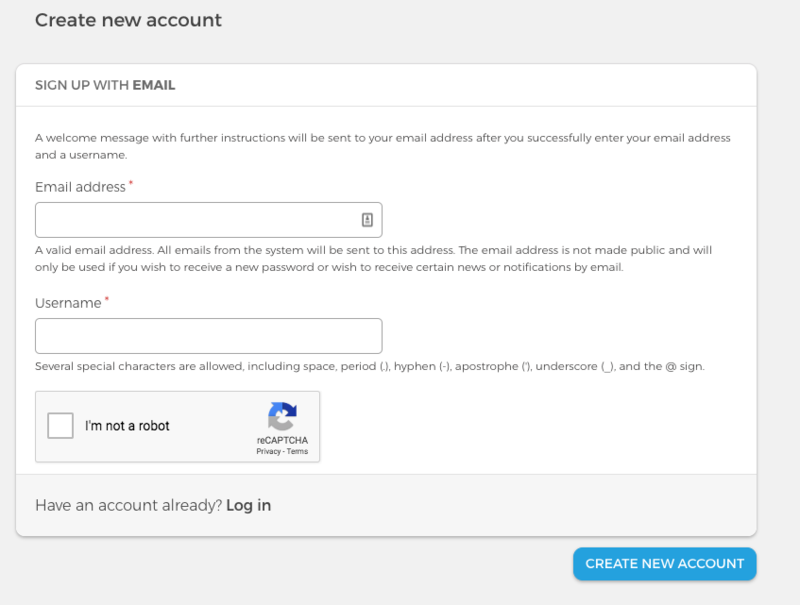 When enabled, users need to click the checkbox before being able to create an account. This feature makes use of Google service. Please take this into account and update your data policy accordingly.